My name is Mrs Rice, I am the class teacher and Mrs Elson is our classroom assistant. We love working together in Swallows class. Our favourite time of year is our annual resisdential visit to Fox Howl at Delamere Forest where we explore forest habitats, build dens, toast marsh mallows around a bonfire and get very muddy! We also enjoy a visit to Nantwich museum where we all become detectives and learn about the Great Fires of London and Nantwich as well as an exciting visit to The Manchester Jewish Museum in the summer term. This year is particulairly exciting as we are emabarking on a research project with Chester Zoo which begins with a whole school outing to the zoo! Swallows class also endeavour to become competent in our 2,5,10 and 3 times tables as well as knowing and using the associated division facts. Mrs Elson and I are looking forward to a busy, fun filled year of new learning opportunities. 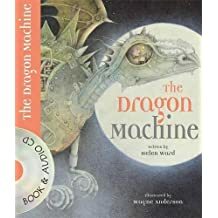 Our writing focus for this half term is based upon the fabulous story 'The Dragon Machine' by Helen Ward. The children will explore the character of George and the cheecky dragons. We will be reinforcing the use of exciting noun phrases, the use of adverbs, commas and conjunctions in order to extend our sentences. Throughout the unit of work, the children will be writing persuasive letters, designing their own dragon machine, writing instructions and exploring other areas of narrative. Look out for the huge dragon's egg that is about to land in Swallows classroom! Swallows class are preparing for our residential trip to Fox Howl at Delamere Forest in February. There we will explore fantastic activities such as: den building, stream walking, toasting marshmallows around the camp fire, identify habitats, map work, arts activities and share an over night adventure together. We can not wait!